With a little over a week left to go in the Kickstarter campaign for the eighth Evil Inc graphic novel, I want to do everything I can to encourage people to pledge and promote! So I came up with a reward that I think you’re going to really love. It’s the entire four-and-a-half-year run of my first webcomic, Greystone Inn. This 416-page behemoth has never been offered before in digital format, and if we reach $15K, all of my backers at or above the $10 level will get the whole thing in a tablet-friendly PDF file (DRM-free, of course). 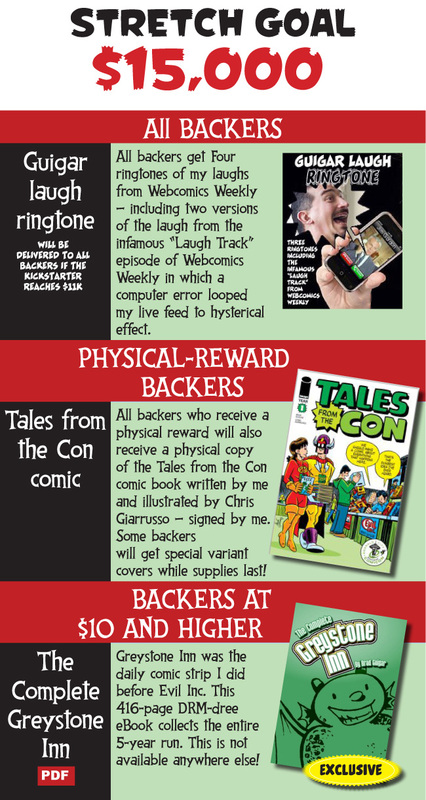 At the $15K mark, all of my backers who are eligible to receive a physical reward will get something extra in their shipment — a signed copy of Tales from the Con #1. This is a collection of comic-convention-related comics that I wrote and Chris Giarrusso illustrated for the Emerald City Comicon Web site. Here are some samples from that comic book. 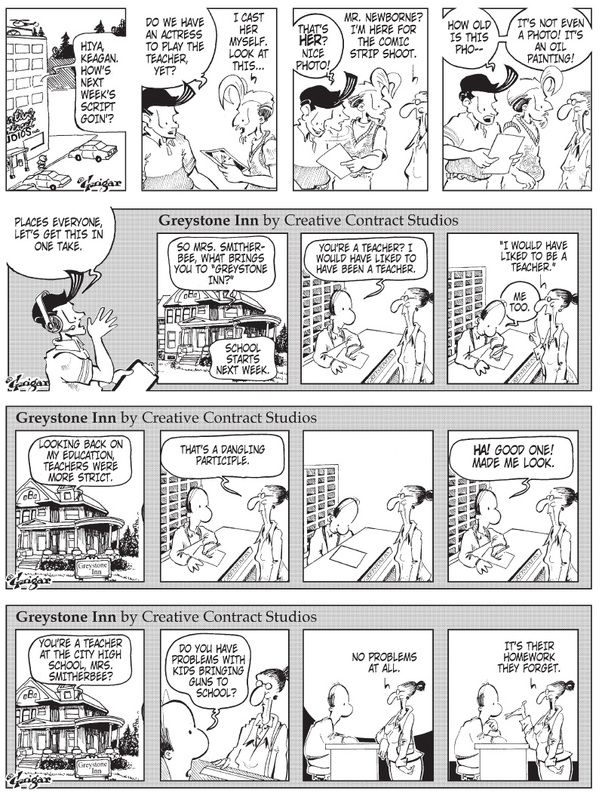 I’m really excited about offering The Complete Greystone Inn PDF as a reward for my backers. It has a ton of extras — like some of my cartoons from when I was in high school and college. It has some of my early editorial cartooning. And it has three complete syndicate submission packages that I attempted before turning full-time to webcomics. Here’s a little sample PDF of what you can expect from The Complete Greystone Inn. To be completely honest — I think the stuff holds up remarkably well. I’m far enough removed from it that I can read it without remembering the punchlines, and some of that stuff had me laughing out loud. So that’s my goal. If you haven’t decided to make a pledge, maybe this will entice you. If you’ve pledged already, maybe this encourages you to increase your amount. And it’s definitely something that I’m hoping you’ll share on your various social-media outlets!